Christened Bleu Turquoise and Bleu Lazuli, each scent captures a different facet of the country and is inspired by its signature colour, blue. After paying homage to Russia with Vert Malachite and Rouge Malachite, the Italian luxury label is celebrating the natural splendor of India. These two new couture fragrances are steeped in the culture, the history and the aromas of the country, which has inspired Giorgio Armani's fashion many times over. Blue is one of the symbolic colours of India, notably giving rise to the name Indigo. 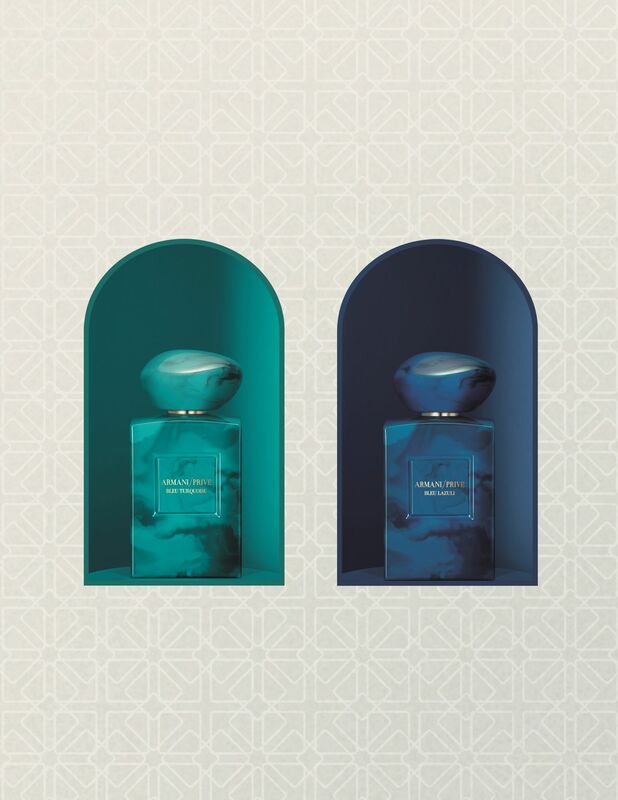 This colour, and, more specifically, two precious blue stones—turquoise and lapis lazuli—have been a key source of inspiration for this latest fragrance duo. The first evokes the meeting between sea and sky, while the second symbolizes the immensity of the universe. Both are peppered with aromas of incense and spices. Crafted by Aurélien Guichard, Bleu Turquoise has notes of black vanilla and white salt, whereas Bleu Lazuli, by Pascal Gaurin, has notes of tobacco, mate tea and osmanthus. Both feature notes of pink pepper, bergamot and Mediterranean salt, nodding to Giorgio Armani's native Italy. These two latest additions to the Collection des Terres Précieuses collection are due out to be out this month. Beauty What Makes A Perfume Worth Wearing?